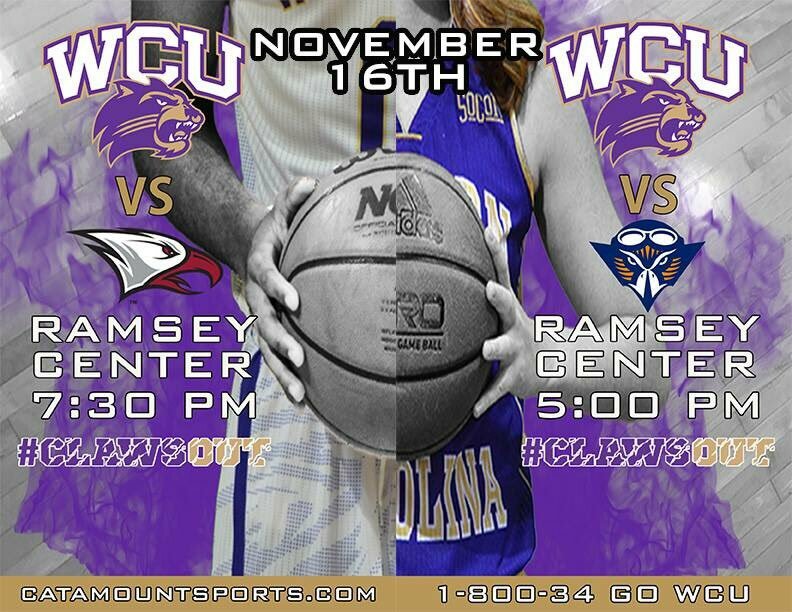 This year, WCU is celebrating Giving Tuesday for the third time. On November 29, 2016, join together with thousands of other Western Carolina alumni, parents, faculty, staff, students and friends to celebrate philanthropy and give back to support the areas of WCU that are most meaningful to you. No matter the amount, no matter the area to which you give, you can make an impact on the University that made an impact on you. This year, with your help, we will continue to make a difference for our current and future Catamount and demonstrate our Purple Pride. 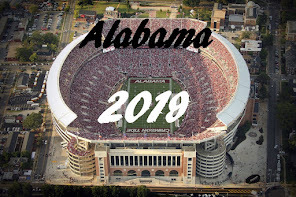 It's week eleven in the SoCon, and time to make this week's football picks. On the schedule, we have a full slate of four conference games while ETSU has an out of conference contest. ETSU steps out of conference this week, as NAIA's Cumberland University visits the Bucs in Johnson City. The Phoenix are 5-5 on the season, but look for them drop this one to the Bucs by a final score of 48-14. The league leading Bulldogs travel to Lexington to face the Keydets of VMI. A win in Lexington will sew up the championship title for The Citadel. Look for the Bulldogs to pull out a 14 point win against the Keydets, 28-14. The Terriers travel to Chattanooga to face the second place Mocs. Lots riding on this game for both teams, the Terriers hoping a win will keep then in the chase for an at-large playoff bid, while the Mocs need a win to remain in contention for a shard of the SoCon crown, should the Bulldogs from Charleston stumble. The Terriers just can't pull it off in Chattanooga and fall to the Mocs, 35-21. The Bears travel to Birmingham to face the Bulldogs. The Bears are playing for an overall winning season, while the Bulldogs are in hopes of remaining in contention for a playoff spot. Samford comes out on top with a 28-21 win over Mercer. 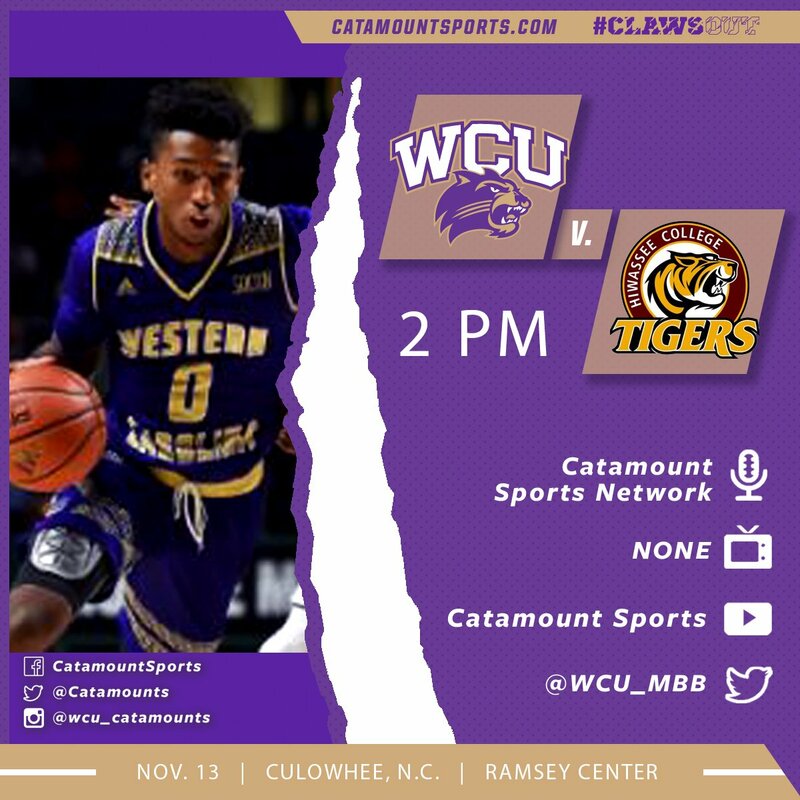 The Cats travel down the mountain to face the Paladins in Greenville, SC. Both teams are 2-7 overall on the season and need this win, The Paladins expect the home field advantage to carry them to victory, but the Cats rally to a three point win, 31-28. Here're the rankings after the tenth week of play. "Crossen’s day started on the opening kickoff as he scooped-and-scored a fumble on the game’s opening kickoff. Racing down in kick coverage, redshirt freshman Skyler Matheson punched the football loose from VMI kick returner Mason Dermott where Crossen retrieved the loose pigskin and scampered 19 yards for the touchdown just eight seconds into the game. It was his first career fumble recovery. Midway through the second quarter with WCU holding a 7-3 advantage, Crossen picked off an Austin Coulling pass down the left sideline and returned it 65 yards to the VMI 11-yard line, setting up WCU’s second touchdown and a 14-3 lead. 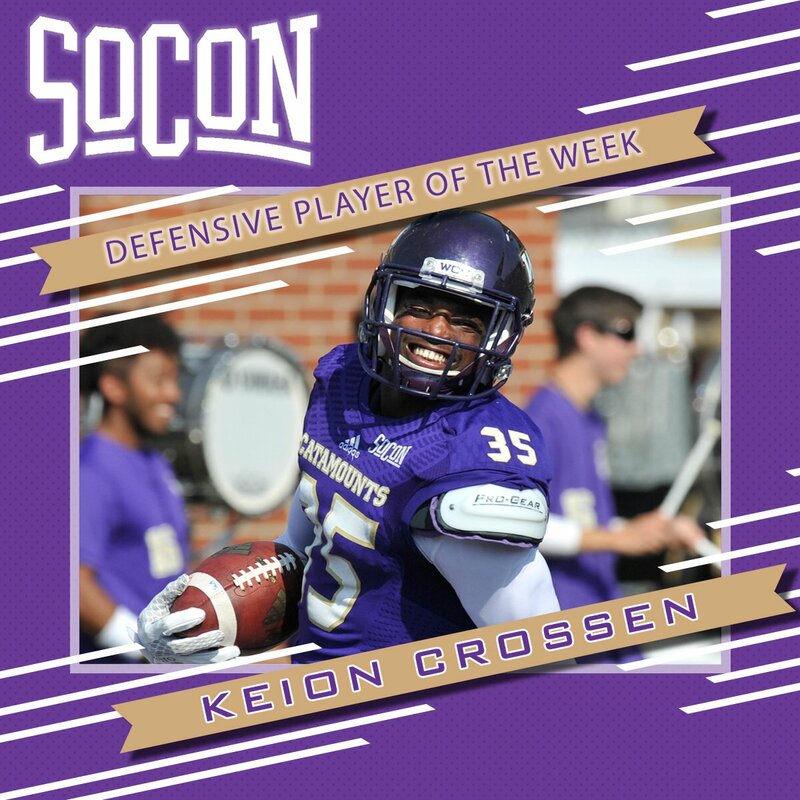 Crossen’s third career pick was a part of a three interception day for the Catamount defense." 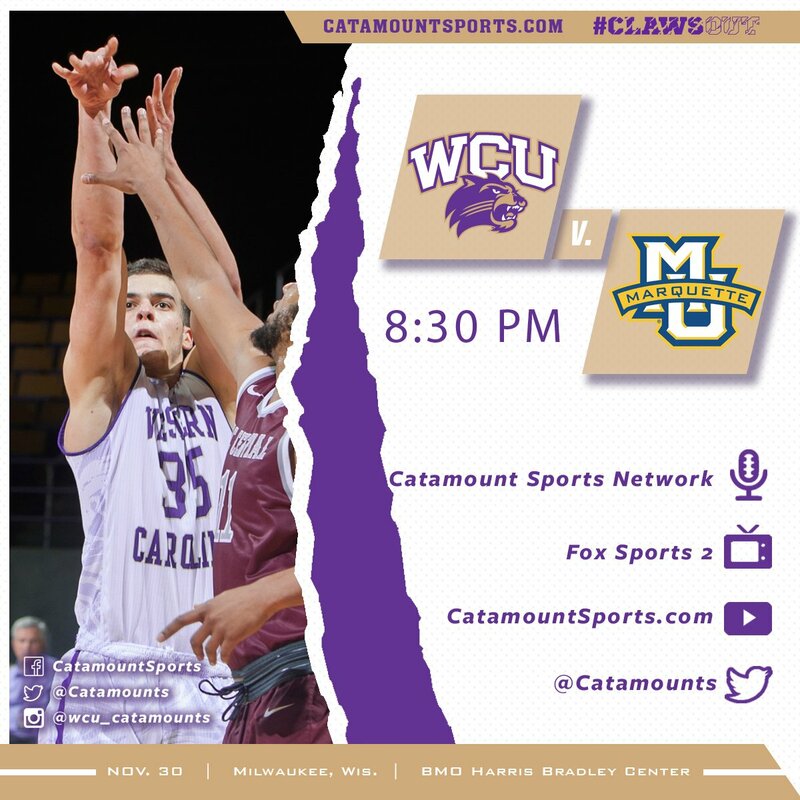 For their tenth game of the season, the Catamounts travel down the mountain to Greenville, SC to meet the Paladins. The Cats trail Furman 12-29-2 all-time in the series that dates back to 1976, when Western Carolina joined the Southern Conference. The Series: The Cats have won the last two in the series. winning the last game played at Furman by a final score of 35-17. Catamounts Cruise Past Furman to Close Home Season, 48-10 - Troy Mitchell recorded 360 yards of total offense and accounted for five touchdowns as Western Carolina used a total team effort to close the home portion of its regular season with a 48-10 victory over the Furman Paladins on Saturday afternoon in Southern Conference action at E.J. 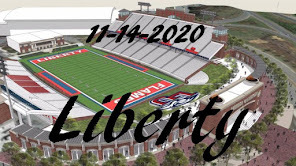 Whitmire Stadium / Bob Waters Field. Mitchell threw for 305 yards and three touchdowns, adding two scores on the ground and 55 yards as WCU put an exclamation point on an unbeaten home regular season - its first since 1986 and only the second in Division I history. In conference play, the Paladins won games over ETSU and VMI (both on the road), and have lost to Wofford (last weekend), Samford, Chattanooga and The Citadel. Furman also has lossess to Michigan State and Coastal Carolina in out of conference games. Furman is #6 in scoring offense in the SoCon, just ahead of WCU at #7, and the Paladins are ranked #4 in scoring defense while the Cats come in last in this category. It’s no coincidence that Furman won two of their last three games following the return of their top two linebackers, seniors Carl Rider and Byron Johnson, from injury. The duo combined for 16 tackles, a tackle for-loss, and an interception in the win over VMI, a week after they combined to register 14 tackles, 2.5 tackles for-loss, and a sack against ETSU (52-7 win). Rider is Furman’s active career tackles leader with 315 stops, and Johnson owns 169 tackles in his Paladin tenure. That’s 484 combined career tackles for the Paladin linebacking duo. Furman redshirt senior wide receiver Andrej Suttles currently ranks second in Furman history in both receptions (171) and receiving yards (2,356) and is sixth in career touchdown receptions (14). Furman’s six-game home losing skid is the longest in program history. The Paladins registered their last home victory on Oct. 3, 2015, against South Carolina State (17-3). It's week ten in the SoCon, and time to make this week's football picks. On the schedule, we have a full slate of four conference games while Chattanooga has a bye week. The Terriers take that short trip to Greenville down I-85 to play the Paladins in what will be a closer than expected game. Hoping to stay in the race for an at-large NCAA bid, Wofford pulls out a 28-24 win over Furman. The Keydets travel to Cullowhee in search of their second conference win of the season, while the home standing Catamounts are looking for their first conference victory. The Cats pull off their second home win of the season, as they drop the Keydets with a 14 point victory, 28-14. In what may well be the FCS "game of the week", the Samford Bulldogs travel to Charleston to meet the league leading Citadel Bulldogs. With the Citadel's unbeaten record on the line, the Bulldogs defend the home turf, and pull out a 7 point victory, 28-21. The Bucs of ETSU travel to Macon to meet the Bears in the afternoon's last SoCon game of the day. With continued hopes for a long-shot at-large NCAA bid, the Bears roll to a 21 point win, 35-14. Western Carolina men's golf cruised to the 2016 Hummingbird Intercollegiate team championship on its home course, the Country Club of Sapphire Valley. WCU junior transfer Dylan MacQueen edged classmate Jackson Bishop by two strokes to claim top individual honors over the par-71, 6,767-yard course layout. Here're the rankings after the ninth week of play.